What is the public perception of your company? When people hear your business name, do they have good feelings or bad? Do they view you as a hero or a villain? By age 17, he had committed his first murder. At age 18, he had taken part in his first bank robbery. He took part in the ambush and massacre of 22 unarmed U.S. soldiers who were then dismembered and scalped. He committed armed robbery in 10 states. Yet, there will be a celebration in his honor in Northfield, Minnesota this year the weekend after Labor Day, as there has been for years. Who am I talking about? The outlaw Jesse James. So great is his legend, that he has been portrayed in at least 26 movies, been the subject of dozens of songs, is memorialized in museums in nearly every town he ever lived in or robbed, and countless books have been written about his life. As soon as he was killed at age 34, he was an instant celebrity. How does a murderer and societal menace attain such celebrity? Public perception is a powerful marketing tool. When the James Gang first started robbing banks and killing anyone who got in their way, the public was outraged with their hideous actions. Jesse James was portrayed in the newspapers as a man without a soul who would off his own mother if she stood between him and a bag of gold. However, Jesse James had an ally in newspaper editor John Newman Edwards of the Kansas City Times. 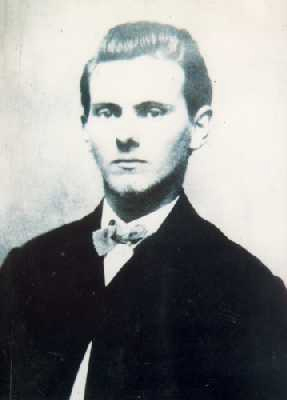 Edwards published a series of open letters from Jesse James, who claimed that he was rebelling against the post-Civil War reconstruction led by the Republicans. All of the sudden, James became a symbol of Democratic defiance. Edwards claimed that James was robbing Republicans and former Union officers who had profited from reconstruction. Never mind the fact that he was robbing banks in the south and taking money from Democrats as well as Republicans. He had a following of former Confederates who did not like the terms of reconstruction. James had stirred the hearts of a segment of society to empathize with his cause, because it was their cause as well. Does your business emphasize the cause of the people? Have you attached your business name to a cause greater than what you produce? Lending your name as a corporate sponsor to non-profit and charitable causes can have a big impact on public perception. Let me give you some examples. Can you name the charitable causes these three companies help fund? You may not be on the corporate level of these three companies, but one thing you can do is to find a cause that resonates with people and own that in your footprint. There are many great causes. If you are a sports fan, why not become a sponsor and volunteer for Special Olympics. If you are concerned about healthy eating habits, take a look at a sponsorship with the local chapter of the American Diabetes Foundation. Concerned about poverty around the globe? Take a look at Samaritan’s Feet, an organization that provides shoes for the poor of the world. Whatever you do, try to resonate with like-minded people and go at it with all you have. Try to own the sponsorship in your area. Give money, but also give time. Sit on planning committees. Volunteer at fundraisers. This takes a long-range view of your marketing efforts that can pay dividends in the feelings the public has about your company. The time is right to set your company up for cause marketing for a couple of reasons. First, the poor economy has choked off giving to charitable causes. Because of this, you can set your company up as a corporate sponsor at a bargain price. Secondly, the workforce is changing. Younger workers just entering the workforce do not segment life the way those exiting it have done. Generation Y is characterized by blending their job, family, social life, religion and education as one big package. Included in that package are charitable causes. The Baby Boomers went to work and just focused on one thing (the task of performing their job), whereas the younger generation will do it all at work. A Baby Boomer boss may be appalled when he hears his employees spend 2/3rds of their work hours on Facebook. A Gen Y boss would think this is normal. For Gen Y, there is just life. One way that your company can appeal to the young worker is to attach your business to a strong charitable cause. But the benefits on employees is not just for the young employee. In light of the trimming back of budgets, personnel and, in many cases, salaries and benefits, consider that your aging workforce may be asking if they have a significant place in your company. Joining up with a charitable cause can conjure up good feelings about your company amongst your older personnel once again. Here are the answers to the three corporations and their cause marketing. 1. McDonalds has its own foundation: the Ronald McDonald House Charities. This foundation builds hotels near children’s hospitals specifically for the families of those children to have a place to stay in the midst of a health crisis. 2. The NFL has had a very long relationship with the United Way that dates back to 1973. More recently, it has promoted breast cancer awareness, encouraging players, coaches and referees to wear pink during games played in the month of October. 3. Starbucks is famous for their clean water programs in third world countries, especially through the sale of their Ethos Water. The one thing all of these corporations have in common is that they support a cause and they own the market. They promote the cause in their advertising and it has shaped public perception. Do you need to choose just one cause? Certainly not, but you may be watering down the impact of cause marketing by spreading your giving too thin. If you intend to get a marketing boost from your charitable work, focus on one big thing. By the way, it is interesting that Bob Ford, the 20-year-old James Gang member who shot Jesse James, thought that he would be famous for killing the outlaw. Instead, he was arrested for murder. He was indicted, found guilty, sentenced to death and was to be hung – all on the same day. (He was pardoned by the governor of Missouri before he could be lynched.) Ten years later, Bob Ford was gunned down by a fan of James. Public perception of heroes and villains is a powerful marketing tool. Use it to your advantage.